Ovis Equipments, an ISO 9001:2008 accredited company, offers Railbus. Rajasthan has a wide network of bus services. 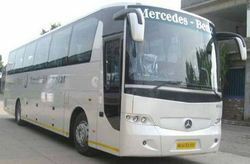 The government run Rajasthan State Road Transport Corporation along with a dedicated bunch of professional private bus operators provide efficient bus services within Rajasthan. Jaipur is very well connected by buses from New Delhi's Bikaner. House, ISTD Bus Stand and Kalle Khan. 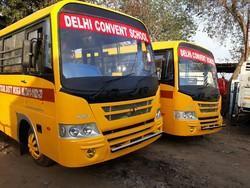 Buses leave New Delhi every 15 minutes. Eicher's range of Buses and Chassis is a contemporary offering of superior vehicle performance with safety features, superior comfort and redefined styling, trusted by the customers for class fuel efficiency. Our coaches can be precisely tailored to optimize performance, driveability, capacity and passenger comfort. Offering exceptional value, these series is a solid competitor to coaches everywhere. Delux London Bus • Delux London bus spacification •GENERAL FEATURES 1. Type of vehicle - 22 children capacity 2. Type - Electric London bus Entertainment vehicle 3. Battery( optional) 4. Colour - 2k Nippon colour (Red) •FEED POWER PROPERTIES 1. Motor - 1250 watt ( BA- 1518) high speed 2. Motor output power - 4 kw 48 v 3. Fuel Options: Bioethanol, Biogas, Biodiesel and Diesel.